Italian-born saxophonist, improviser, composer and ethnomusicologist. As a self-taught musician, his training has been mainly focusing on the intersections between composition and improvisation. His recent research focuses on the use of sound materials of Calabrian folk music, his birth place in the South of Italy, in a contemporary improvised music realm. He is developing an improvisational language involving different techniques and approaches to improvisation and its relationship to fixed materials. He is completing a Contemporary Music Practice PhD at the University of Edinburgh. He graduated in DAMS at the University of Bologna and in Jazz at the city conservatoire. In Bologna he took part to the vivid music scene of the city and played with musicians from the Bassesfere collective – Fabrizio Puglisi, Edoardo Marraffa, Alberto Capelli, Lullo Mosso, Domenico Caliri – as an active member of the second generation of improvisers in town – Alberto Fiori, Nicola Guazzaloca, Francesco Guerri, Luca Bernard among others. In 2005 he won the Iceberg Festival, young artists prize in Bologna, with the duo Fiori-Ferlaino together with the piano player Alberto Fiori. With EL, a quartet with Alberto Fiori (electronics), Francesco Guerri (cello) and Giovanni Falvo (drums), realised Electric Leak, a show for music and neon lights co-produced with Pietro Babina, Santarcangelo dei Teatri and Ortosonico. 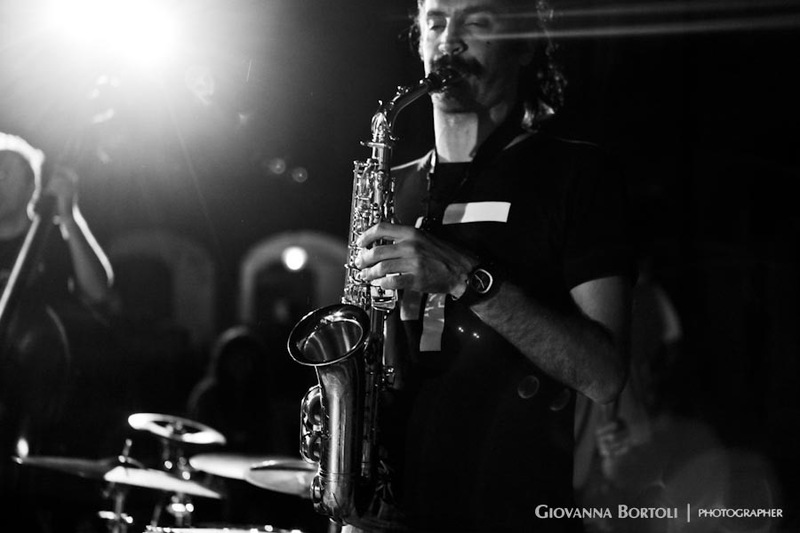 Co-founder of the Bologna-based bands Comanda Barabba, EL and TranePainting, as well as funding member of the association of improvising musicians GNU. He leads the Amsterdam-based septet Antigone’s Choice – Joost Buis, Michael Moore, Kaja Draksler, George Hadow, Felicity Provan, Wilbert de Joode – and the quartet New Dog – Natalio Sued, Mattew Adomeit and Tristan Renfrow. He plays baritone in Pumporgan, Dirk Bruinsma’s contemporary music quintet together with Mikael Szafirowski , Nout Ingen Housz and Wilbert Bulsink.